Welcome New Affiliate of The WCBN, EpiGuide's EpiCast! Welcome New Affiliate of The WCBN, EpiGuide’s EpiCast! EpiGuide is the webfiction, weblit, webserial… online fiction writing community that brought you WeSeWriMo. With their podcast, EpiCast, they discuss many degrees of writings found online, with a predisposition to webfiction. The EpiCast will be taking WBCN’s Webfiction World original goal, in delivering news, guides, and discussions on webfiction and writting. Webfiction World will be focusing on fiction readings (more information to come). 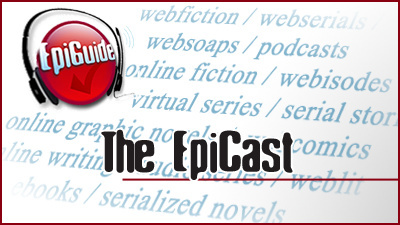 So please welcome WCBN’s first new affiliate under the new website: EpiGuide’s EpiCast!